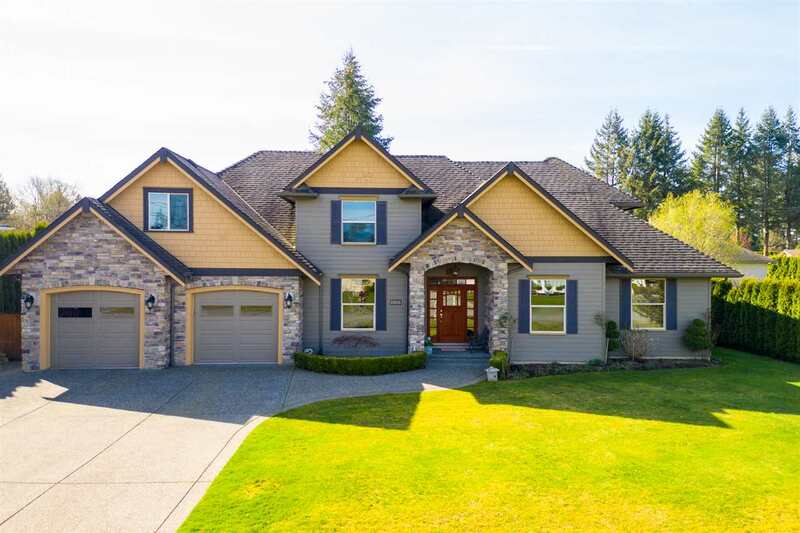 Murrayville - Executive Home on a 10,000 sq ft lot, with a 5 Bay Shop! This Beautiful 3,000 sq ft family home boasts an Open Concept main living area, as well as, a Formal Dining room and Living Room. The Chef's Kitchen offers plenty of cabinetry, quartz counters, stainless appliances & and a large island. Enjoy the convenient breakfast nook & family room while overlooking a private, west facing yard.The main floor also provides a den/bedroom, bath and laundry. There are 5 large bedrooms up incl. the master suite with fireplace, walk-in closet & spa like ensuite with soaker tub. This beauty has a double garage, many patios, new furnace & new shop. Parking on this property is 11 easy w/ 7 undercover or RV & toys. Mins to good schools, hospital & all amenities! PL LMP 12282 LT 14 LD 36 SEC 31 TWP 10.